Two years later, Marianas Trench has re-emerged with Masterpiece Theatre. And not surprisingly, it's a work of soaring ambition and decisive technical prowess ? that easily might not have happened. "It's one thing when you're Chad Kroeger and you just finished writing 'How You Remind Me'," Ramsay states. "I didn't have some mega-platinum song to back up my argument with, so I was lucky that the band and the label trusted me enough to do it." By "it", Ramsay means he was allowed to indulge a high-concept fantasy for the band's sophomore album, which is built, for starters, around a song called "Masterpiece Theatre". Adopting Brian Wilson's notion of the 'pocket symphony' and then running with it, the three distinct versions of ?Masterpiece Theatre? dotted across the record feature an almost perfect balance between the vocal theatrics of Queen and the more hymnal qualities of the Beach Boys. By the time ?Masterpiece Theatre? is reprised for a final, climactic time, every other song on the album is quoted and incorporated into an intricately constructed dramatic revue that swings from pristine pop, to propulsive riff rock, to quasi-doo wop, to robotic new wave, and finally into a wholly satisfying thematic payoff. 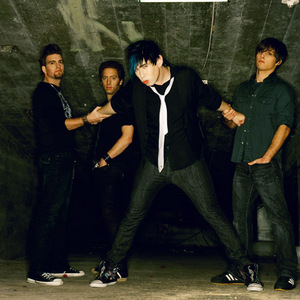 Bassist Mike Ayley readily admits, "I don't think any of the three ?Masterpiece Theatre' songs could have gone on Fix Me had they been written at the time. ?Masterpiece' 2 and 3 in particular are amazing songs that really explore the potential of Josh's writing. You really have to hear them to get it. It's like trying to explain ?Bohemian Rhapsody' to somebody who has only heard Kanye West and Katy Perry." Ramsay agrees. "I really wanted to have a 'Good Vibrations'/'Bohemian Rhapsody' style song on the first record,? he says, ?but I don't think I was a mature enough writer to have written it yet, and I still feel like I was in over-my-head when we did this one, and I just barely made it." "Beside You" is a panoramic exercise in big emotions, with a dash of the Dream Academy's "Life In a Northern Town?. "Acadia" begins with a clipped, bright acoustic guitar, and blossoms into something like the Who reconsidered by U2, reimagined for the net generation. In the crunchy "All to Myself", the power ballad "Lover Dearest", and the strident "Good to You" (in which he duets with Kate Voegele), Ramsay pulls out the kind of honeyed vocals more attuned to modern RnB than white, adolescent rock. Bassist Ayley also credits Maida for encouraging the band to ?find a personality-identity that wasn't as evident when we started the production process," while also praising Ramsay for his production efforts. Ramsay took charge of four songs on the finished record. ?Josh is really about capturing the emotion and power which isn't surprising considering all the feeling in the writing,? he says.